In religious discourses, we often hear that the five vices we should avoid are Kam (lust), Krodh (anger), Lobh (greed), Moh (attachment) and Ahankar (ego). However, these emotions are as natural as love and friendship. A wonderful book by renowned psychologist, Dr Clarissa Pinkola Estes, titled Women who run with the Wolves made the point that many of the psychological problems in women – and to a lesser extent in men, stemmed from the fact that society discouraged them from expressing themselves in a natural way. There were a great number of impositions and codes of behavior laid down and adhering to the more rigid of these artificial impositions created psychological stress and complexes in women. The onus of conducting themselves correctly – and these notions of correctness were often spelt out by men – was disproportionately loaded against women. Nature and science place a lot of emphasis on homeostasis and balance for optimum functioning of an organism. Even spiritual texts extol the benefits of moderation. The ‘middle path’ is well highlighted in Buddhism as are a balance of Yin/Yang in Daoism. Though there is a fair amount of emphasis on overcoming ‘negative’ emotions and subduing them to a great extent, I personally believe, like many others do, in a beautiful balance of forces being the key to a healthy life. Not accepting these qualities as positive contributors to our psyche and health may actually lead to imbalances. 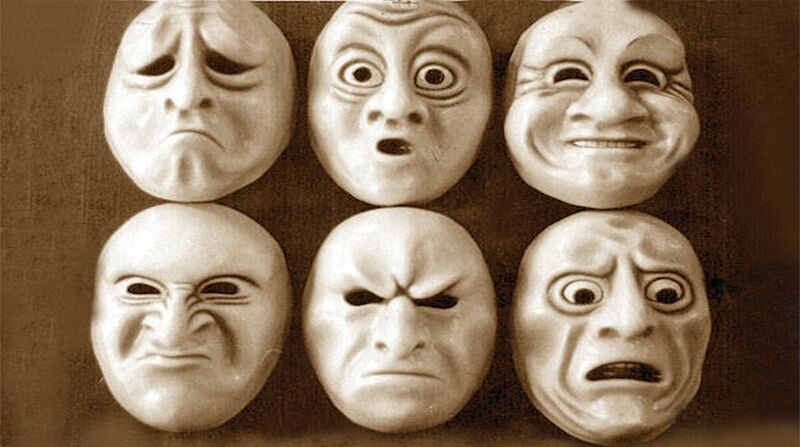 I feel these five emotions have a very important role to play in our lives and their worth cannot be ignored. Look at the feelings of very young children. Innocent children sound nothing but sweet when their sense of envy with their sibling makes them tell their parents accusingly ’you love him/her more!’ Or just watch the way your little pet jumps onto your lap and places its snout into your hand when you are talking to your children lovingly. It seems to say, ‘it’s my turn- play with me now, not with them!’ This pure and clean form of envy and desire doesn’t seem unhealthy in a child or a pet. It acts as a signal to the parent that the child is merely seeking reassurance. The parents are often able to successfully provide this reassurance and this leads to a feeling of security and confidence in the child. If the child did not express these feelings, it may end up feeling quietly hopeless in its own mind. Conversely, if parents and caregivers communicate with the child and proffer reassurance, it is more likely to grow up to be a fairly confident and secure adult. Attraction or attachment to a person you love can be quite healthy in moderation. Thinking about others and their welfare is a highly desirable emotion. Putting others before self is a rare quality, not easily found in the atmosphere of selfishness prevalent today. Moreover, at a community level, it is extremely important for the community and for its members to be interested and engaged deeply with one another. It is a true manifestation of the spirit of ‘the world is one family’. It is also far better than being obsessed with oneself. When one is asked to look inward, it is more with the idea of examining one’s shortcomings, recognising them and working to eliminate them. Sadly, many are not able to cross the first step itself and ‘looking inwards’ tends to merely veer towards narcissism. Similarly, anger can be an excellent watchdog in alerting a person to the need for self-defense. It is usually thoughtless or unkind actions or disappointments that evoke this in us. We can use anger as a valuable guide and catalyst that spurs us to action. I often think that women have taken Gandhiji’s advice of ‘turning the other cheek’ more seriously than their male counterparts. They should stand up for themselves and others more often when confronted with abuse and unkindness. Anger, if interpreted and controlled correctly can be an excellent stimulus for goading one towards working for social justice, for making things right. It was the anger of a nation when Nirbhaya was so brutally gang raped, that led to sweeping changes in the way sexual assault was viewed and handled in our country. It is anger at the prevalent patriarchy that has led to a sustained movement for equal representation of men and women in the Indian parliament for a full 21 years (though the goal is currently unattained). One must not quickly flare up in anger, and not be consumed by it certainly, but it is an excellent red flag – an internal indicator that drives change. David Steindl Rast, a modern philosopher of our times has eloquently pointed out in his book ‘The Listening Heart – the Spirituality of Sacred Sensuousness’ that spirituality and austerity do not necessarily go hand in hand and we must celebrate our ability to appreciate the richness of experiences, sensual ones included. Excess of anything is bad, even perhaps virtue. I would, however, make an exception for love and friendship. I feel strongly and sincerely that one can never have enough of both of these! Accepting our emotions fully and releasing them in a controlled manner may be healthy in the long run. Avoidance of these so-called negative emotions may lead to their erupting suddenly and unexpectedly in unsatisfactory ways.